Tarakan is a city located in North Kalimantan Province. Tarakan city actually store variety of potential tourist attractions that is so fascinating. One of those tourist attraction is Amal Beach. 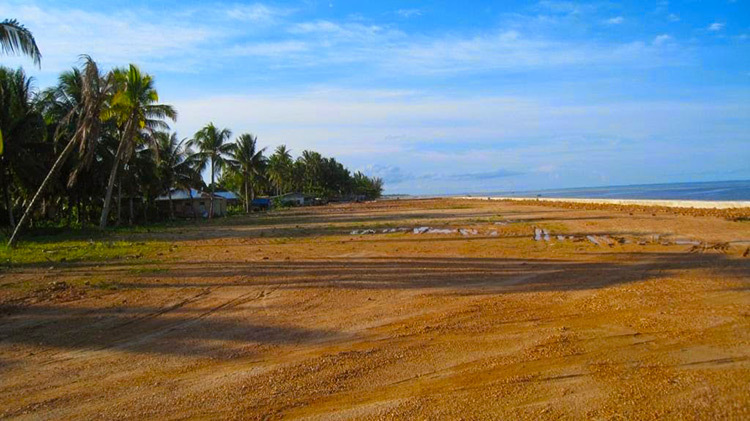 The name of Amal Beach derives from one village in East Tarakan, North Kalimantan Province. The beach can also be called Amal Tarakan New Charity Beach not include white sandy beaches like beaches in some other tourist areas. However, this beach has a charm brown sandy beach that can be add on your list tourist destination that you must be visited. When the weather is sunny, natural beauty will appear clearly on the coast of this region. Amal Beach became the most pleasant place for recreation on weekends or holidays. Many visitors spend their holiday with their friend or family. Many activities can do here, starting from a family gathering place, play ball with friends, to enjoy the scenery will spoil your eyes. Even the Local Government of Tarakan City continues to make improvements to improve tourism facilities and supporting infrastructure in this Amal Beach so that tourists who visit this beach will be interested to explore more. In this area also has some facilities for visitors who want to play such as some water sport, gazebo, and take rest area to enjoy the beach. Enjoy unlimited stretches of clear blue sky with beautiful clouds accompaniment. Currently enjoying the most beautiful beaches are seeing the sunrise. Tarakan itself according to folklore comes from Tidung "Tarakan" which means meeting and "Ngakan" which means to eat. Literally Tarakan means the place of the fishermen to take a break to eat, meet and make exchanges with other fishermen catches. Tarakan is also a meeting estuary place of Kayan River, Sesayap and Malinau. Currently, the City Government of Tarakan is holding beach expansion, with plans to make the Mini Beach Ancol Amal into a region of North Kalimantan. Amal Beach can be reached by using private vehicle or public transportation. Flights to Juata Tarakan available through by Batavia Air and Sriwijaya Air. From the airport you can use a taxi or public transport to go to the Amal Beach. Amal Beach Tarakan is 11 km from Tarakan downtown approximately 20 minutes trip by the streets that go up and down to reach Amal Beach. Surely you will not be difficult to go to Amal Beach, you can ask to people around or use the travel services. You can also use sea transportation is using speedboats and other sea transportation.